This guide (with pictures) first and foremost written for grandparents whose memory brings; and secondly, for those who are just starting to learn the beauty of using tablets and phones from Apple as an e-reader. Option 1. Launch from the desktop. To start a default application for reading books on your device, find it on one of the desktops icon iBooks and then start the app by touching her. Option 2. Search and launch via the search bar. Step 1. If iOs below 7, then Click the Home button so many times until the search string. If iOs 7 and above, hold your finger on the desktop from the middle of the screen down. - Step 2. 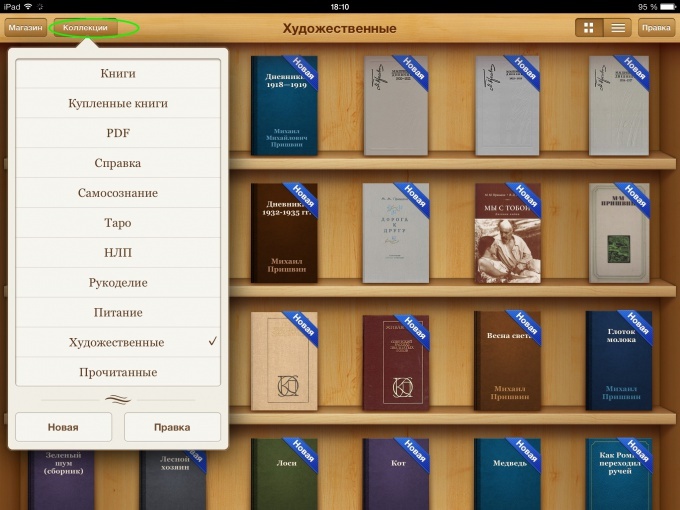 To enter in the search bar the word ibooks. Click on the icon found the program. 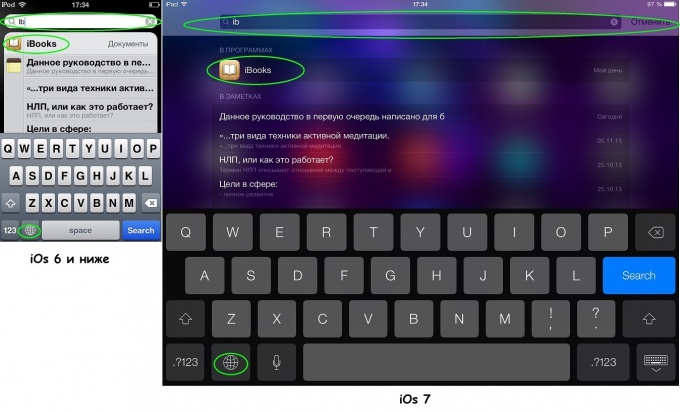 To change the keyboard layout with Russian to English, click on the globe icon at the bottom left under the letters. To return to the Russian layout, you have to press the globe again. How to view the collection. Collections are different sets of books. Something like different cabinets with books. One collection - one Cabinet. There are three preset collections: Books, Purchased and Pdf. But you can create your own collection. To view available books, click Collection at the top left of the screen and choose in the list the name. How to view books in one collection. Option 1. In the list view. 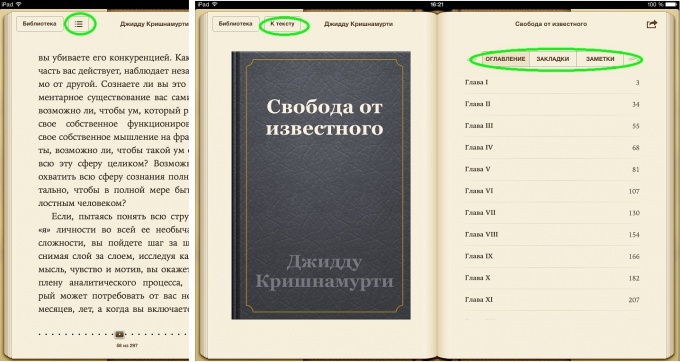 To see the names of books and their authors in list view, you press the button, which shows three features. Option 2. Books on the bookshelves. To see the names of books and their authors books on the shelves, you have to press the button that shows four squares. How to search for a book. Book search will be made for all collections at once. So no matter in which collection you are now. Swipe your finger from top to bottom. You should see a search bar in which you can type the name of the book or the author. Click on the book. Step 1. If the book is in the current collection, just find the title and click on it. If books a lot, use the search function (see paragraph 4 How to search for a book). - Step 2. When you open a set of books (collection), in which there is no need to book, but you know what collection it is, select 2 How to view collections and then step 1 of this paragraph. Note. If you open another book. Click on the Library button in the upper left corner. The current book will close and open the collection to which this book is. How to set the size of the letters. Click on the button with two letters in the upper right corner of the open book. Step 1. To increase the text letters. Click on the large letter A as many times as required. You will immediately see the resized text on the screen. To reduce the text letters. Click on the small letter A as many times as required. - Step 2. To continue reading touch to the page. How to change the letters. For drawing the shape of letters and characters is responsible font. It affects the readability of the text. Step 1. Click on the button with two letters in the upper right corner of the open book. - Step 2. Click the Font button. - Step 3. Select any on of the fonts. - Step 4. To continue reading touch to the page. How to set the background of the book. - Step 2. Click Themes. - Step 3. Choose any of the favorite backgrounds: White, Sepia, Night. 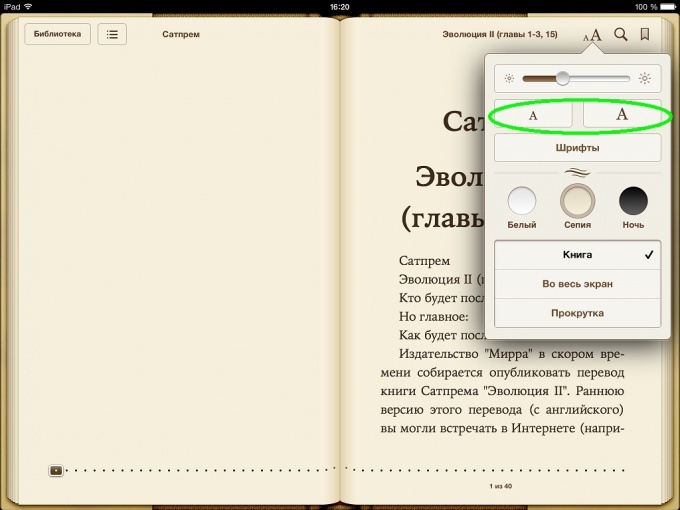 How to customize the appearance of the book. - Step 3. Select any of the available types of books: Book, full screen, Scrolling. 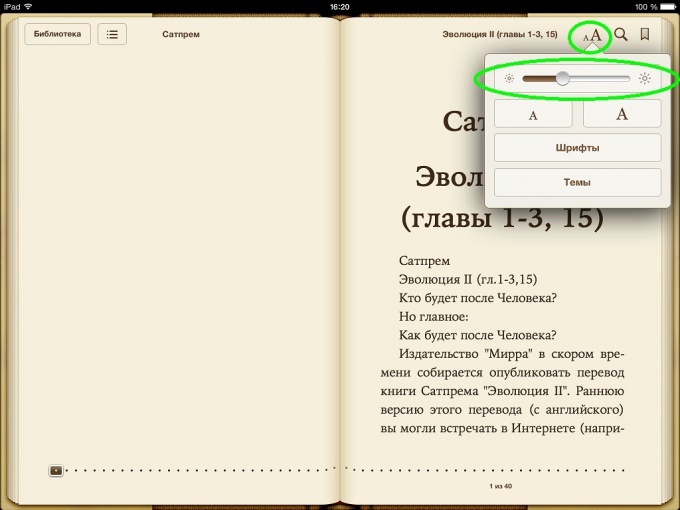 How to adjust the brightness of the book. - Step 2. Move the slider to the left to decrease the brightness and right to increase it. - Step 3. To continue reading touch to the page. How to search for text. Step 1. Click on the button with the magnifying glass icon in the upper right corner of an open book. - Step 2. In the search bar enter a search word, phrase, or page number. - Step 3. To navigate to the desired location select from the list. - Step 4. If you want to revert to the original text, click on the link Back to the page ... at the bottom left of the screen. Otherwise, skip this step. To continue reading without switching to search, touch the text pages. How to go to the table of contents, bookmarks or citations. Table of contents - the contents of the book Chapter by Chapter, indicating the page number. Notes and highlighted or underlined text fragments or single words. Step 1. Click on the button next to the Library button (dot-dash three times). - Step 2. Tap you are interested in tabs: table of contents / Bookmarks / Notes. - Step 3. Find the desired line. To navigate click on it. To continue reading from the same place click-To-text in the upper left corner of the book. While reading text you can see the footnote in square brackets and highlighted in dark blue. If you press on them, it opens a page of notes at the end of the book search text explanation. To return to the original text need to click Back to page ... in the lower left corner of the book. How to create and delete bookmarks, quotes, notes. To create a bookmark, click the icon of a striped ribbon in the upper right corner of the book. To the right of the page will fall red ribbon. To delete a bookmark, click the red ribbon. For bookmark, see item 12. - Put your finger at the beginning of the quotation and then lead it to its end. By default, the quote is highlighted in yellow. 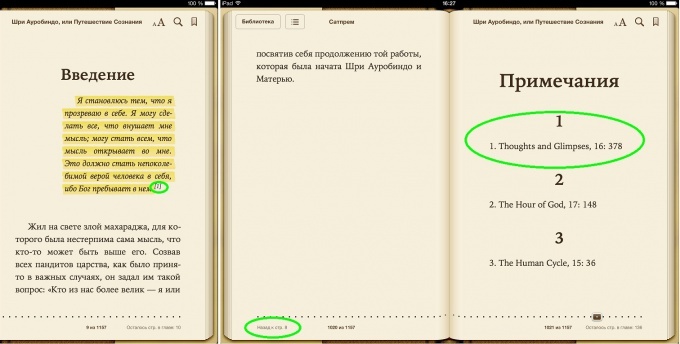 - Quickly tap the highlighted area and move your finger. In the pop-up menu with several buttons to select the set of colored circles to change the color, or a white circle with a red diagonal strip, to cancel the selection. To move citations, see item 12. Private comments (notes) written to the word, phrase, or block of selected text. In the text they will look like a little yellow square on the margins of a book, when you click on that you will see them in full size. - Put finger on top of the commented phrase and then guide it to its end. By default, the quote is highlighted in yellow. 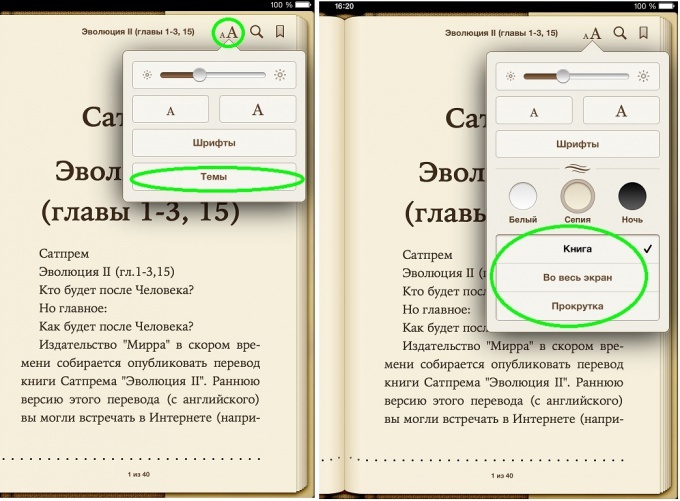 - Quickly tap the highlighted area and move your finger. In the pop-up menu with several buttons, click the yellow striped rectangle. - There will be a field for notes. After writing, click on the button to hide the keyboard. - To delete notes, you can either clear the field Notes, either remove the quote, which is tied to review. List notes are linked to citations (see paragraph 12). 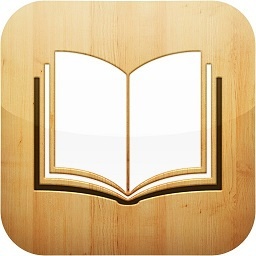 The only thing you can do wrong in my Apple device is to delete the book or the app itself with many books. You just need to remember what to press to cross the shaky icons on the desktop - this means to uninstall the program. And if you press the library button to Remove is to remove a book (or books). Everything else is easily fixable, and do not be scared. Yes, and this is partially fixable (own notes, quotes and bookmarks to restore it), only time will take a little more. Home button - the button on the front side of your device.